All passwords regardless of their length and complexity are recovered instantly. 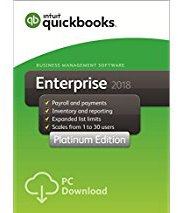 Our consultants support all editions of Accounting, including Sage 50 Peachtree, Sage 50 Peachtree Premium, Sage 50 Peachtree complete, QuickBooks, DacEasy, Accpac, MYOB, Simply Accounting ,DacEasy Accounting Simply Basic, Simply Pro, Simply Premium and Simply Accounting Enterprise. Have any problem with your password in Accounting software? Don't worry, you can find the best solutions here. Besides, Our consultants Official provide best password recovery solution for home and business users. If you have any questions. Please feel free to contact our support center. We promise to provied you the best and instant services.